The Cartersville-Bartow Chamber is a proud supporter of Manufacturers Appreciation Week, which coincides with the State Manufacturers Appreciation Week in April. It is a chance for the Chamber and our community to say thank you for the capital investment, community involvement, employment, and support our manufacturers who provide to Bartow County. Manufacturers Appreciation Week is a coordinated effort by the Cartersville-Bartow Chamber with support from the Cartersville-Bartow County Department of Economic Development. Cartersville and Bartow County are proud of the 175+ years of industry in the community and the more than 140 manufacturers that contribute over $380 million in payroll. There is a proclamation signing leading up to the week to help the Chamber commemorate Manufacturers Appreciation Week. The week will include industry tours that provide a wonderful opportunity for our community to experience manufacturing facilities first hand and see what goes into the process of manufacturing goods in our own community. To be a part of the committee or for more information on how to be a sponsor of Manufacturers Appreciation Week, please contact the Community Development Director. 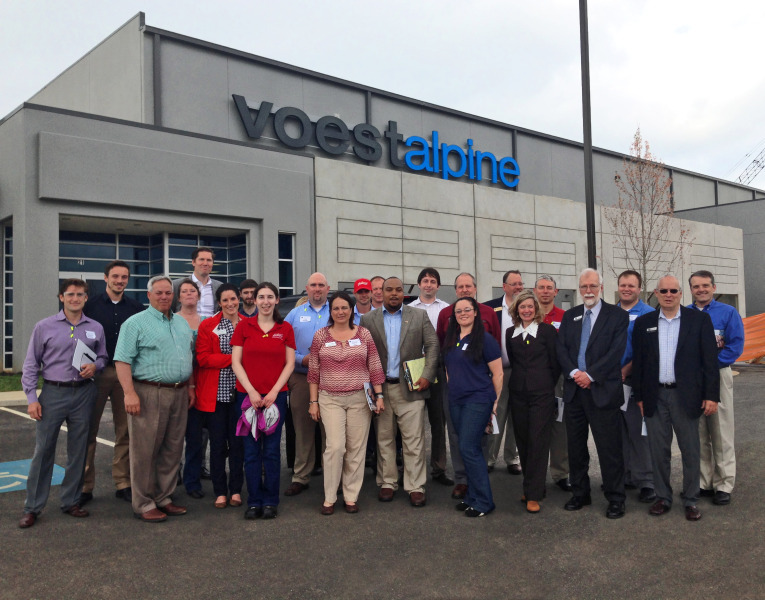 2015 Manufacturers Appreciation Week Tour at voestalpine Automotive Components Cartersville Inc.